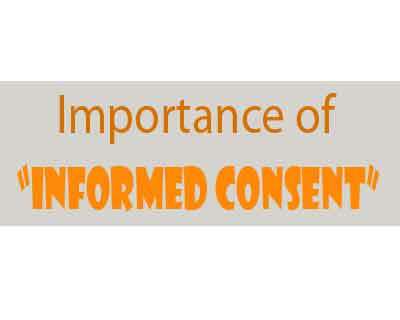 Proper Informed Consent and proper treatment and proper record maintained as per SOP, saved Medicos from the claim of Rs.1,50,00,000/- .. 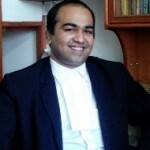 In the judgment of Shashi Dvivedi V/s. Dr. Mukund Prasad, (Paras Hospital, patna) CC No.86/2016, recently reported in IV (2016) CPJ 319 (NC), the national Commission, came to the rescue of Doctors. 1. This case was filed by the Complainant husband for claiming compensation for the death of his wife Smt. Saroj. 2. After admission, as per her condition, immediate CT Scan was carried out, which revealed “right side hemorrhage and midline shift of brain towards left side” The complainant paid the necessary charges. The patient was shifted to ICU and was looked after by Cardiologists, Neuro-Physician, Nephrologists. 4.It was further alleged that there was violation of Ethic Regulation Rules, mainly rule no.3.5 of not communicating specialist Doctor’s opinion to the attending physician. 5. the patient was taken to OT by 1.00 am and surgery was over by 4.30 am. But it was informed that there were no chances of survival. 6. it was alleged that the head of the patient was not shaved, the CD of operation was also not given even after demanded for nor complete medical record was given and hence the complaint for damages of Rs.1.5 crores was filed. 1.The national Commission after perusing the entire record and after hearing of parties on merits, dismissed the complaint. 2. The treatment was given as per the diagnosis. Most importantly, the doctor’s assessment sheet / progress sheet revealed that, ” patient may die on OP Table or even after 1 hour of post operatively or patient may undergo vegetative” and this was explained and informed to the patients; attendant and who signed accordingly and thus there was informed consent. This judgment yet again underlines the importance of Informed consent and maintaining proper record. IF Doctors feel agitated by such complaints, they always have option of initiating suit for damages for malicious prosecution, but hardly anyone does. Merely venting on social media will not help. I HAD A COUPLE OF BAD EXPERIENCES WITH THE PARAS HOSPITAL, GURGAON, AND SO I AM SAID THEY WERE LET OFF IN THIS CASE. BUT I CAN NOT QUESTION A JUDGEMENT. I WILL NOT RECOMMEND ANYONE TO THE PARAS HOSPITALS AT GURGAON. A LESSON FOR ALL DOCTORS, THE IMPORTANCE OF DIALOGUE AND DOCUMENTATION IS SO IMPORTANT. DOING AN HONEST GOOD JOB SHOULD BE ACCOMPANIED WITH DETAIL DOCUMENTATION.